The PEC statement is printed on 8½ x 11-inch paper and contains information in an easy to read format. 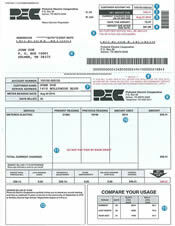 Included in the statement is a box that allows you to compare your current month’s bill with the prior months and year. 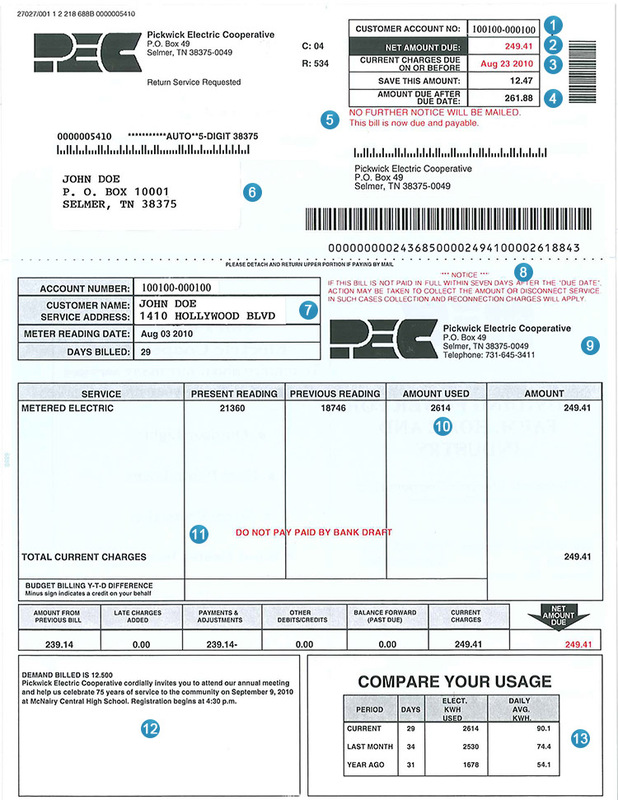 Your electric statement also includes a return envelope with a see through window so there is no need to address the envelope when you mail your payment to PEC. Your account information, including your account number, net amount due, past due charges and the amount due after past due date. Return address that shows through the return envelope window. Billing information on your electricity usage and other charges such as security lights, heat pump loans, administration fees for past due accounts, etc.